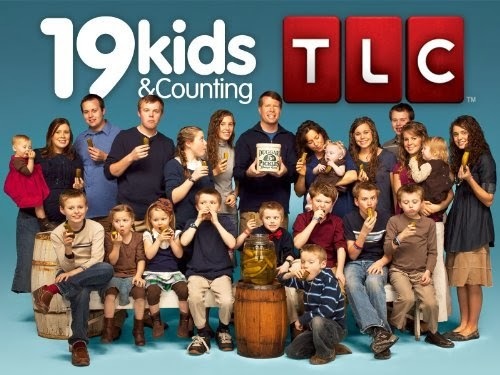 I disagree with the Browns and Duggars. What woman would be so desperate to marry a man with other 'wives'? Cody seems to have a smirk. Men in polygamy benefit from the welfare and food stamps the additional wives get. Carolyn Jessup wrote a book about escpaing polygamy. Jim bob has a creepy smile.What man would let his wife almost die except for ratings or control? He says the number of kids is up to Michelle, but I doubt that. 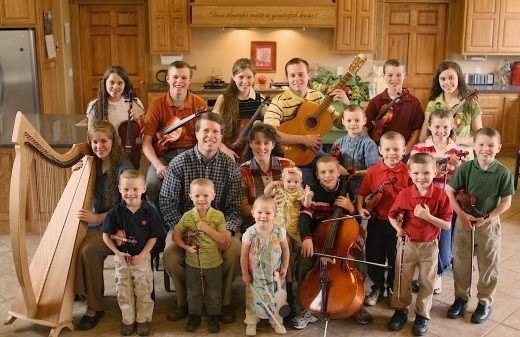 If the Duggars were not religious, I could imagine the criticism from conservatives. 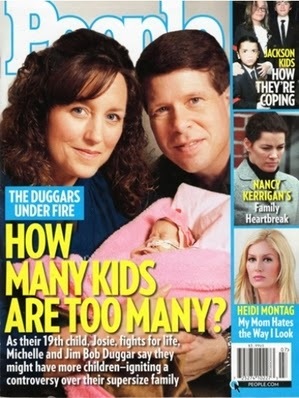 The sad thing is parents like the Duggars love their kids and want whats best for them. For some reason, they think you need a gazillion rules. I can understnad wanting to raise kids right, but this is over-control. As you say, at least the Browns let their children express disagreement. I like Amy, too. There definitely are aspects of both families I don't agree with, and have some of the concerns you do too, roddma. In the end I would just say the Browns make me worry less than the Duggars, as they do seem to allow their children more freedom. Also, as the husband is only officially married to one wife in polygamy, can he still benefit from the wife economicaly those ways you mention? Would she recieve benefits from the government as she is officially single even if they are "spiritually married"? If so that is interesting, as one common statement against polygamy is that it would let people get more tax benefits, and this other way seems to bring benefits too. I'll look into the author you mentioned to learn more as I'm always eager to learn about stuff. I feel exactly the same way about this show - it disturbs me for reasons I can't put my finger on and yet, I feel compelled to watch more! The thing bothers me the most is how Michelle Duggar is so gung-ho on this lifestyle that offers very little to women except for servitude. I was more impressed by them until I read her book and learned that homeschooling consists of 1) Chores 2) Memorizing Bible Versus 3) Teaching basic phonics and math when they are young, then the A.C.E. Curriculum - twisting facts to make them fit a Biblical interpretion. The kids are truly raised in a bubble with minimal outside influences - restricted computer access and no TV. The whole courting process is designed to marry them young and get them started raising families as soon as possible. Although the parents are protrayed as loving and respectful, I can't help but believe there is an underlying emphasis on obedience over independence. Conformity outranks free will. Thanks for taking the time to comment, Theresa! You hit the nail on the head when it comes to what makes me worry a lot, namely the education the children are getting. How can a single mother teach all those children at the same time? Well, she admits she can't and has the older ones teach the younger ones--and with "facts" that as you said twist things to fit their religious views. Were they truly trying to educate their children they would teach them all kinds of things they may not agree with, but which schools are required to teach because it is important for people to have a full education and understand science. The bible may say the world is 6,000 years old, that evolution isn't real, and etc. but extensively studied and peer-reviewed science shows otherwise. I'm also with you on how they seem loving, but determined to have conformity. No child "dates" they all "court", and having an independent thought seems to be squashed instead of encouraged. What if one of their kids decided they thought the bible was a lie? How would the family respond one of their kids deciding to be an atheist? I imagine it wouldn't be pretty. 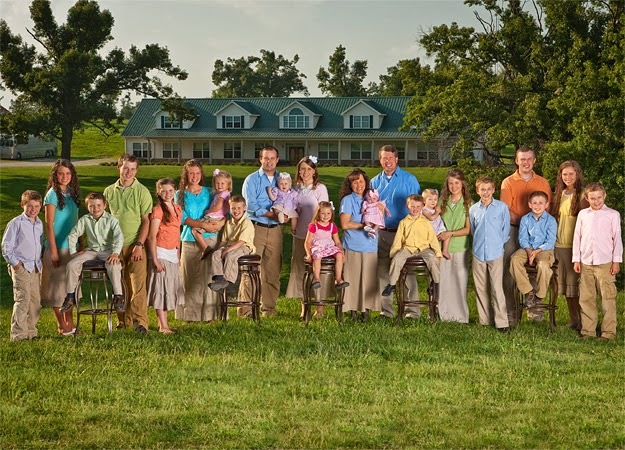 Overall, we seem to agree that the most questionable aspects of the Duggars are how they educate their children, and simultaneously marry them off quickly whilst discouraging actual romance.